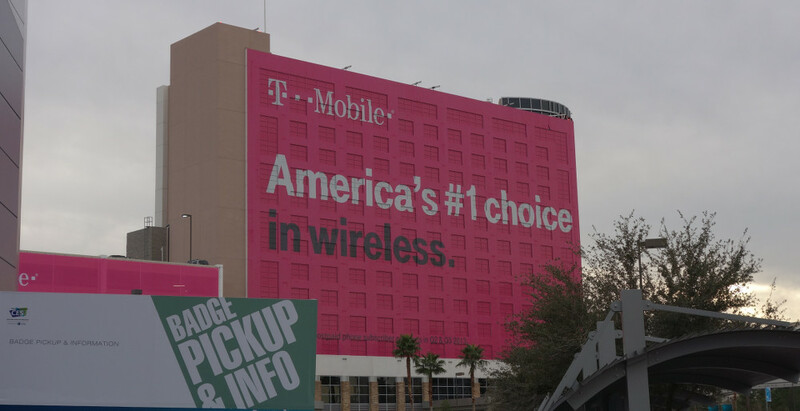 This evening, hours before T-Mobile takes the stage at CES 2014 for UnCarrier part 4, an ad popping up on tech sites has essentially confirmed part of the program. According to the ad – which we have included below – T-Mobile will pay “your family’s termination fees when you trade in your devices.” This news may sound familiar since it has been rumored for weeks as T-Mobile’s next “pain point” to tackle. The ad doesn’t mention all of the details, but does say in the fine print that “Qual’g service & device purchase with port-in from AT&T, Verizon, or Sprint req’d. Up to 5 lines.” In other words, T-Mobile will pay Early Termination Fees (ETF) from your previous carrier, as long as you trade-in your current phones and then sign-up for service, plus purchase a new device. Sources of ours have mentioned that T-Mobile will pay up to $350 per family when they bring over at least 3 lines. We are expecting there to be announcements out of UnCarrier part 4 tomorrow, plus we should get the full details of this move. The event kicks off at 12:30PM Pacific. We will be in attendance, so be sure to hang with us all day.